Here is a quick look at how we finished out 2015 versus 2014. As you can see it is good news for sellers with days on market shorter in almost all Counties, as well as a substantial increase in sold units. Another great indicator is that the distressed property sales are also down substantially across the board. 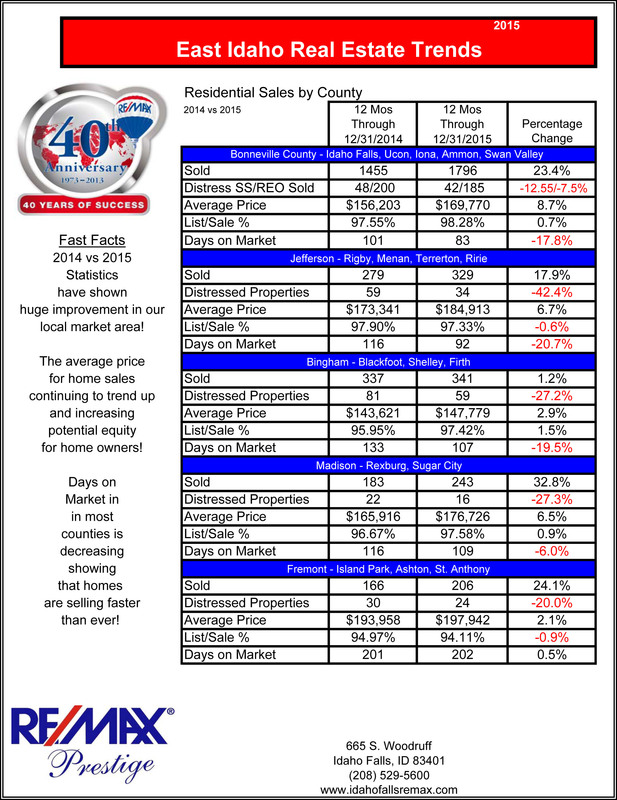 It is a great time to sell if you have been on the fence!